Poliovirus surveillance plays a critical role in achieving and certifying eradication and will play a key role in the polio endgame. Environmental surveillance can provide an opportunity to detect circulating polioviruses prior to the observation of any acute flaccid paralysis cases. We completed a systematic review of peer-reviewed publications on environmental surveillance for polio including the search terms “environmental surveillance” or “sewage,” and “polio,” “poliovirus,” or “poliomyelitis,” and compared characteristics of the resulting studies. The review included 146 studies representing 101 environmental surveillance activities from 48 countries published between 1975 and 2016. Studies reported taking samples from sewage treatment facilities, surface waters, and various other environmental sources, although they generally did not present sufficient details to thoroughly evaluate the sewage systems and catchment areas. When reported, catchment areas varied from 50 to over 7.3 million people (median of 500,000 for the 25% of activities that reported catchment areas, notably with 60% of the studies not reporting this information and 16% reporting insufficient information to estimate the catchment area population size). 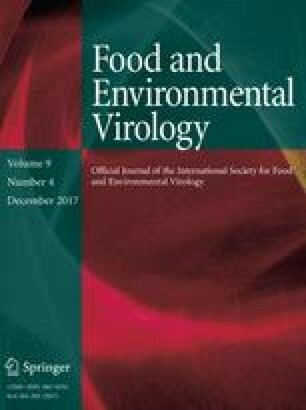 While numerous studies reported the ability of environmental surveillance to detect polioviruses in the absence of clinical cases, the review revealed very limited information about the costs and limited information to support quantitative population effectiveness of conducting environmental surveillance. This review motivates future studies to better characterize poliovirus environmental surveillance systems and the potential value of information that they may provide in the polio endgame. We thank the Centers for Disease Control and Prevention (CDC) for support of this work under Cooperative Agreement Number 5NU2RGH001913-02-00. The authors remain solely responsible for the paper contents, which do not necessarily represent the official views of the CDC or the Department of Health and Human Services. Global Polio Eradication Initiative. (2015a). “Global eradication of wild poliovirus type 2 declared.” Retrieved November 30, 2015, from http://www.polioeradication.org/mediaroom/newsstories/Global-eradication-of-wild-poliovirus-type-2-declared/tabid/526/news/1289/Default.aspx.